Grill & relax enjoying ocean views as boats go by! Located in Harwich Port. The town came in 2nd out of 10 by Coastal Living Magazine as America's Happiest Seaside Town for 2013. 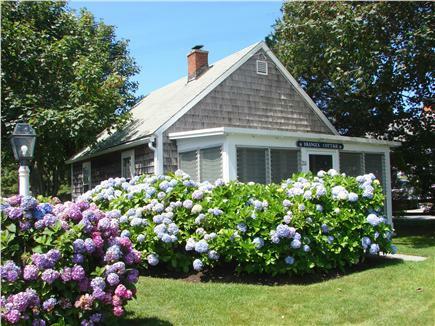 IMMACULATE, COZY, COMFORTABLE, QUINTESSENTIAL cottage, wall to wall carpeting, beautifully landscaped surrounded by gardens and hydrangeas. 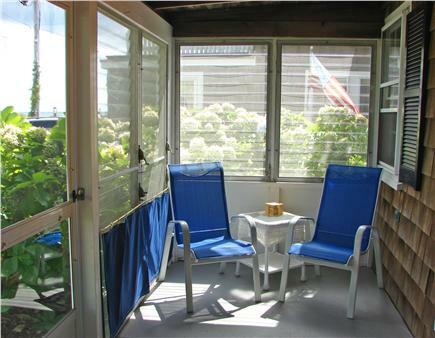 Come and relax on the screened in porch and enjoy your BBQ on the patio in the private back yard with views of the ocean. 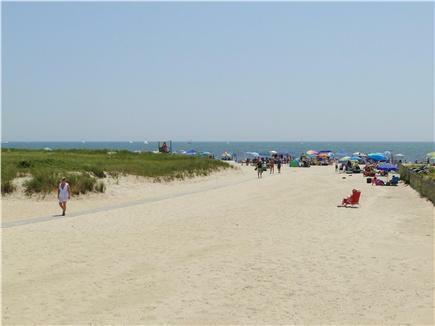 ONLY SECONDS TO DESIRABLE BANK STREET BEACH, ideal for swimming and long walks along the sandy shore of Nantucket Sound, with a view of Monomoy Island in the distance or stroll out to the jetty at Wychmere Harbor and try your hand at fishing. The Freedom Cruise Line makes daily round trips from Saquatucket Harbor in Harwich Port to Nantucket or take a sunset cruise to Monomoy Island and view the seals. Just minutes to town where there is fine dining or casual lunches to go. Unique gift shops are a must to see. For the golfers there is a 9 hole course in Harwich Port or just a few miles in the town of Harwich is the beautiful manicured 18 hole Cranberry Valley Golf Course. Surrounding towns offer museums, theaters, Cape Playhouse in Dennis. Woods Hole Oceanographic Inst. is well worth the trip. Enjoy a day at the National Seashore in Eastham. Upon request Twins can be converted to King. Additional availability info: The 2018/2019 off season rate of $1150 monthly is only for an 8 month lease. E-mail for detail. This is a Saturday to Saturday vacation rental. Long-Term Rental (1 month or more): $1150 monthly, 8 month lease, furnished, W/D, includes heat. Oct.thru May each year. Starting Date Negotiable. e-mail Ruth for details. You will love it here. 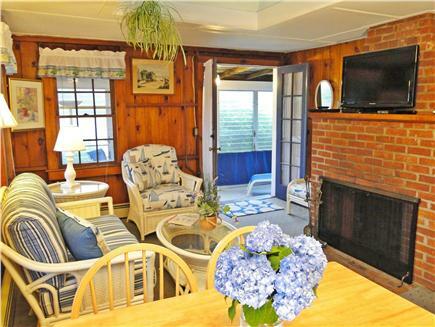 Drangea cottage was everything we were looking for and was exactly as pictured in the listing. The cottage was clean, well-stocked and central to all our favorite things to do in the Cape (Go Karts, Sundae School, CCRT, Brax, Cape baseball and much more). One of the best parts was being just steps from beautiful Bank Street beach. No traffic to deal with or parking passes to purchase. Just walk right onto the beach and enjoy - with a toddler in tow, this was a huge bonus! 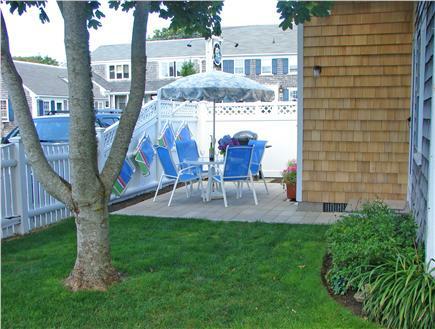 The property itself is really pretty and well maintained with gorgeous, mature landscaping. There are a few little bunnies living in one of the bushes and our toddler really enjoyed it when they would make an appearance! There is also a semi-private outdoor shower which was helpful and fun for our little one. Even before I started my trip, I knew it was going to be a wonderful one as the owner Ruth became my friend before I even got there. When I did arrive, she greeted me with a :-) and a nice hug and showed me the lovely cottage that her father had built back in the 40s. We have never rented a Cape cottage that was cleaned, furnished and supplied with more care and thoughtfulness than Drangea cottage. 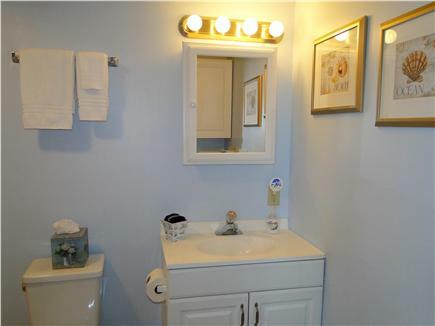 Its beautiful new bathroom, cable TV complete with the Red Sox, and an opportunity to try a Keurig machine all contributed to our wonderful week steps from beautiful Bank Street Beach. 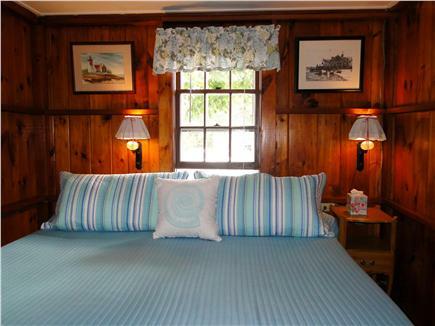 It doesn't get any better than Drangea cottage! 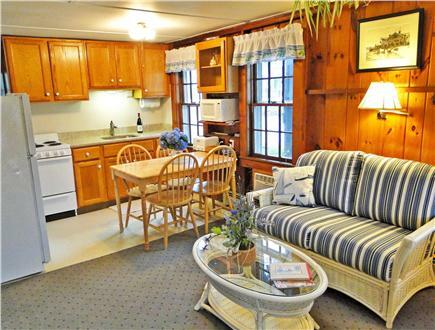 Cozy cottage close to downtown & steps away from Bank Street Beach. 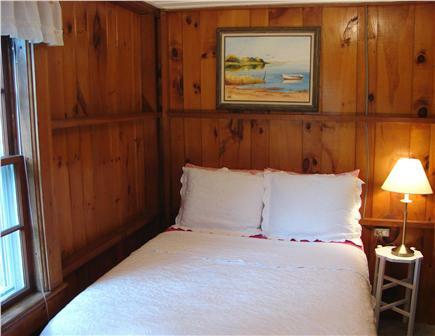 The cottage has everything one needs for a comfortable, relaxing stay oceanside; linens, towels, hair dryer, Keurig, wifi, etc. Ruth & Bob were gracious hosts!!! Wonderful Cottage by the Beach! We have been coming to Harwich Port for nearly 40 years, but this was our first time at Drangea Cottage. What a wonderful cottage! 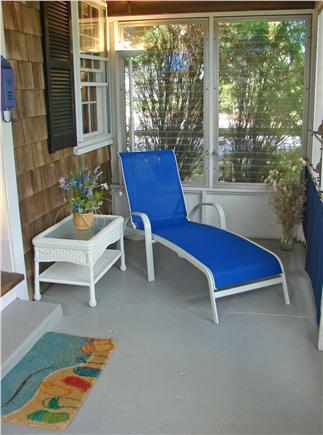 The location is great - 2 doors down to Bank Street Beach, and 2 blocks up to shops and great restaurants. Bob and Ruth have thought of everything, the cottage is spotless, beautifully decorated and has everything you need, from dish detergent to corkscrew, from Saran Wrap to champagne glasses. Extra pillows and blankets, extra toilet paper, a toaster, microwave, oven, fridge, choice of K-Cup or Brewed coffee machines, free wifi, beach chairs, even board games! 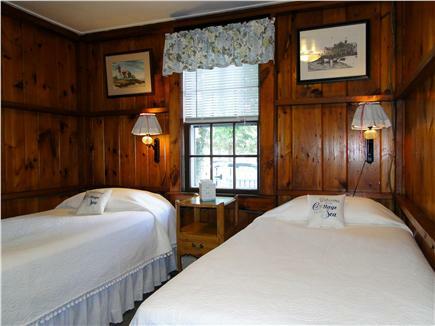 The bed linens and towels are pristine, and the beds are comfortable.